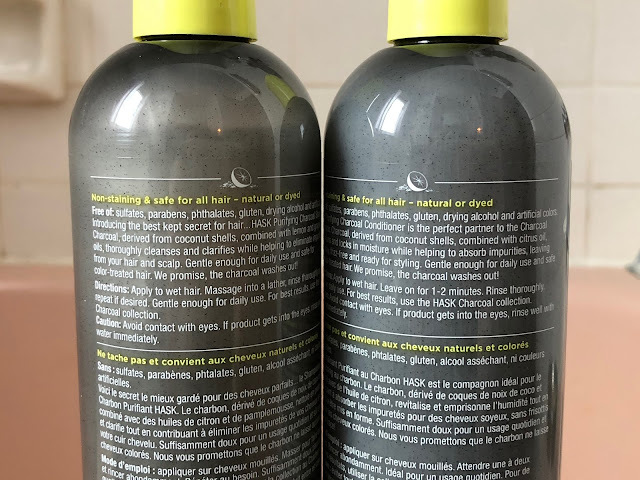 Half Past October: Hask Charcoal Purifying Shampoo & Conditioner | My First Hair Cleansing Re-purchase! 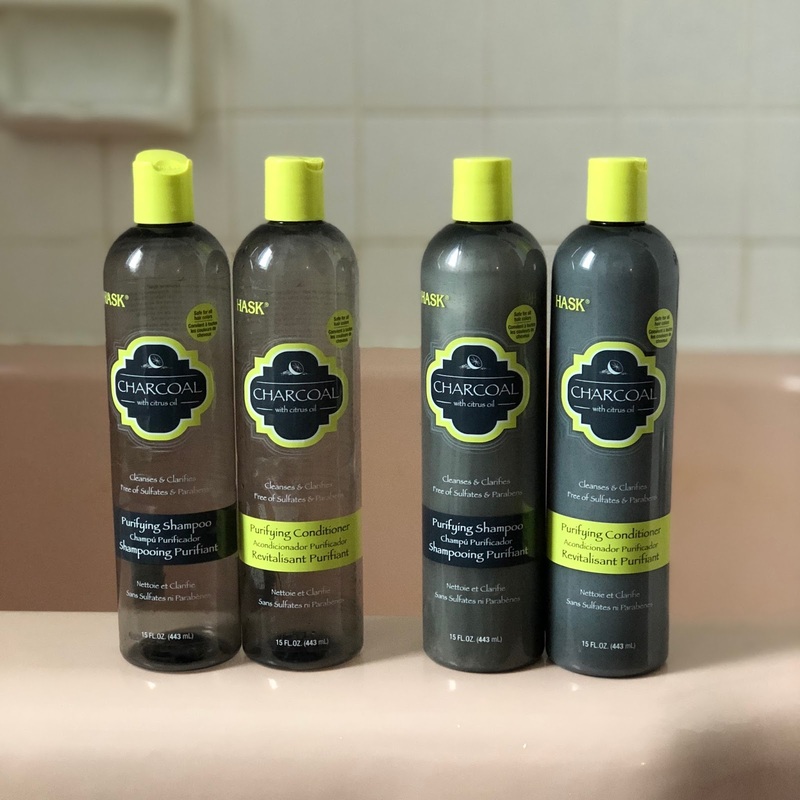 Hask Charcoal Purifying Shampoo & Conditioner | My First Hair Cleansing Re-purchase! I never realized it before, and it never once crossed my mind as odd until now either - but I've never purchased the same shampoo and conditioner before. I'm almost 32 years old, and each time I go to the store and buy shampoo and/or conditioner I purchase something different. I mean, it may not be too terribly odd, considering when I go to Target there are two full isles of hair care products, not including hair dryers and curling irons... but don't most people have a favorite at this point in their life? Maybe I'm not alone? Though, I mustn't be now that I've purchased the Hask Charcoal Purifying Shampoo and Conditioner. A bit of background about me and my hair. You know my age, but my hair has taken a page from the book of my skin and has gotten a slight bit drier than it used to be as I've continued to age. My hair and scalp (like my face) used to be an oily mop of teenage angst. It was gross and I wore it up 95% of the time (even to bed) because it was impossible to deal with. I chopped my hair off about eight years ago and that helped me keep my scalp cleaner and while it didn't cut down on the oil production it did help keep my hair looking healthier as it was easier to wash and manage. My second problem is that I have a minor case of psoriasis on my scalp as well - so large flakes of skin were not an uncommon issue that I was trying to hide either. The biggest help I've ever given my hair and scalp was oil cleansing. Four years ago I was sitting in the bathtub, doing my weekly coconut oil treatment to loosen up dead skin and deep cleanse my scalp, when it dawned on me that I used an emulsifying oil cleanser to deep cleanse my face that washed away easily so why couldn't I use the same type of product on my hair and not struggle with washing coconut oil out of my hair afterwards. 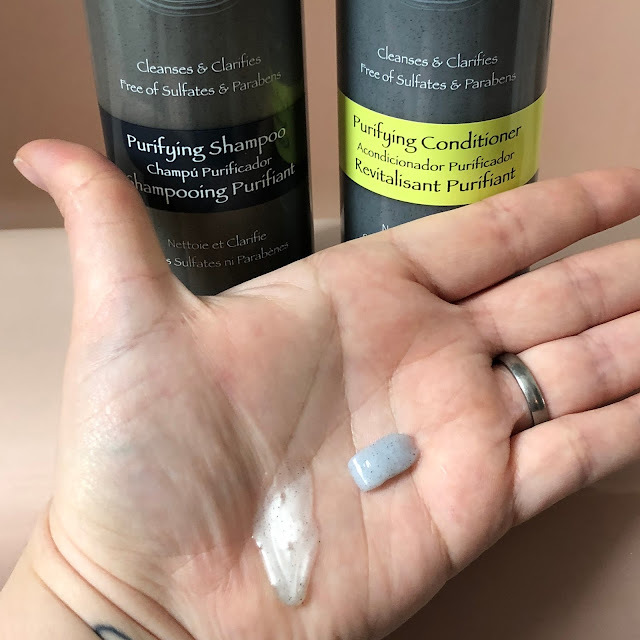 It worked like a charm - I'd apply a few pumps of cleansing oil (whatever was cheap and on hand, usually the Kose Deep Cleansing Oil) massage it into my scalp then work it back through the length of my hair, and after massaging my scalp again every few minutes for two or three rounds, I'd rinse it away. Easy peasy and my scalps' oil production slowed down tremendously. My flakes nearly disappeared and I finally found some sort of balance on my head that I never dreamed of seeing. Then we moved. We moved to my family's homestead a little over a year ago with hard well water, and suddenly oil cleansing was too drying for my hair, then the hunt for something that worked was on again. 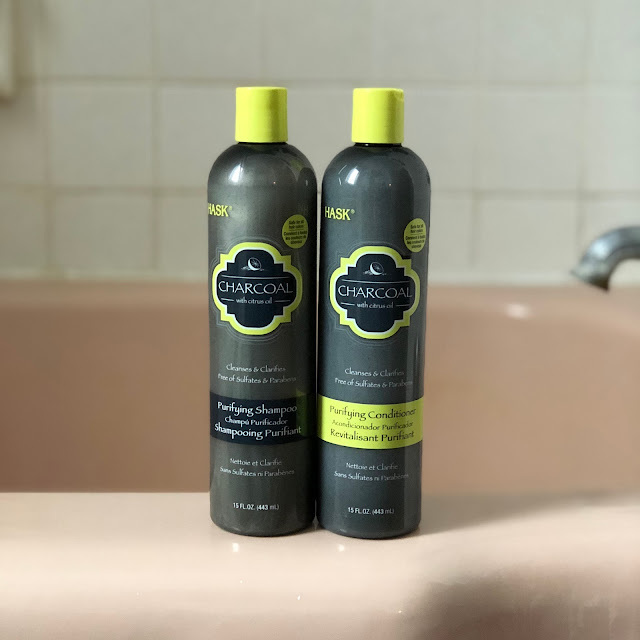 I picked up the Hask Charcoal Purifying Shampoo and Conditioner on sale at Target, thinking charcoal was a great clarifying ingredient and that it claimed to be safe for color treated hair, and I fell in love. I fell in love with the lemongrass citrus scent on my very first use - it was both refreshing and invigorating. I liked how the shampoo produced a soft fine foam that rinsed away easily, and how the conditioner required such a small amount to make my hair smooth and manageable without every weighing it down or making my hair greasy. As if I needed another reason to repurchase it, my husband mentioned randomly that he really liked the new shampoo I bought, so that was that. This may be a silly post to some of you who have made it this far, but I assure you that knowing my days of countless staring hopelessly onto the hundreds of bottles of shampoo and conditioner at the store are over brings me a small sense of peace. Do you have a favorite shampoo and conditioner that you always repurchase no matter what? I'd love to hear about it!